I always seem to get comments from people saying that my locks aren’t real! Which doesn’t make sense because natural locks are more real than any form of dreadlocks. 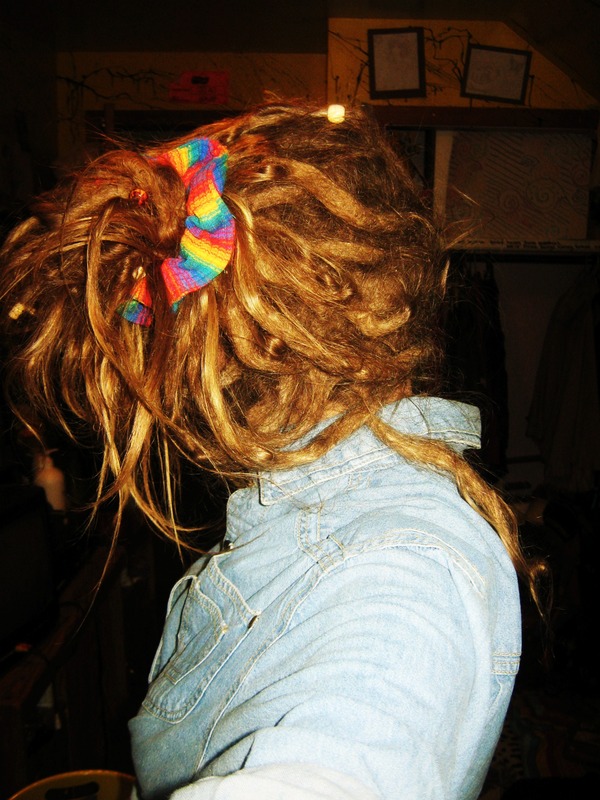 That’s what dreadlocks are. This is what happens when you dont brush your hair. It matts up and grows like a tree. You know how branches grow, they branch of in different directions, and you never know what will happen next? That’s exactly what natural locks are. Like every branch is different, like every drad is different. I’m not saying that other dreadheads who didn’t use the freeform method, don’t have real locks, no way. I’m just saying that my locks are real, too! Just because I don’t maintain my hair everyday, make them perfectly cylinder, or put products in my hair doesn’t mean they’re not real. Everyone has different beliefs, opinions, and tastes. That’s why there are some that crochet, some that backcomb, some that twist and rip, some that palm roll, and some that do nothing at all! We need different kinds of people in the world, just please, respect the souls that are following the natural way of dreading. We’re all beautiful human beings anyway! I still love you all, and if you have any questions about natural dreading, please feel free to ask. I forgot to ask, how do you think my dreads are developing? (link above) Not getting any comments so I was just wondering… 😉 I really love how my hair looks, and it dreads very fast, I already have like 5-7 now, can’t wait until they’re getting loopy, haha. Wow, they’re looking beautiful, really! Separating nicely already! You’re also quite beautiful, I always think that when I see your photos. Yes, no doubt! I never thought that growing natural locks would lead me to making youtube videos, trying to inspire others and making a slight difference in the world, and by making this blog, to also to inspire others, and show them how I’ve grown and how it really helps you to bloom into the flower we’re meant to be. I’m happy that you’re happy!